August was a relatively quiet month. 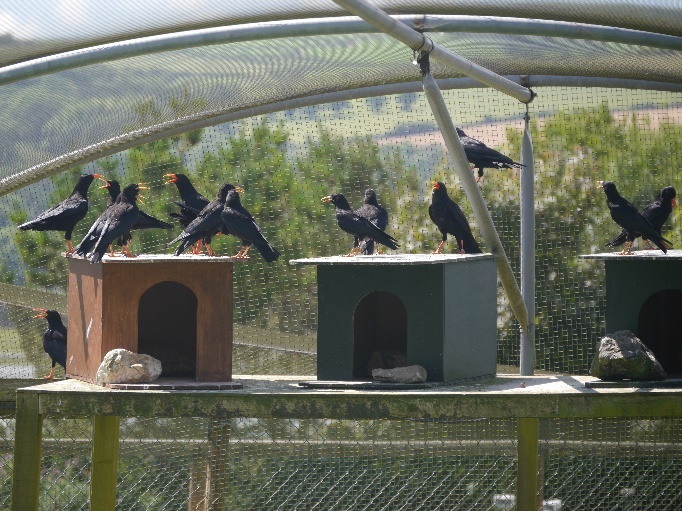 Quarantine embargos at the aviary meant that the ten chicks stayed confined to the aviary and the adults gained respite from the hand-reared chicks daily fly-arounds. The six parent-reared chicks have settled in well and are now mixed with Dingle and the girls. There have not been any cases of aggression to worry about. There does still appear to be a subtle separation of groups even when mixed. The behavioural study being carried out by the students shows us that certain birds prefer to hang out with some more than others. A bit like children in a playground, but with less hair pulling. Glyn testing his Jedi mind skills during a ringing session. Photo by Harriet Clark. and the data sets are mounting by the day. We added radio transmitters to the new chicks and swapped their Paradise Park rings for Channel Islands bird ringing scheme ones. 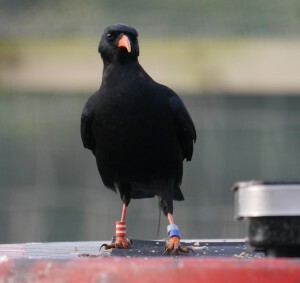 After careful consideration we also gave each chick a name from E to J. Adam had the honour of naming the first chick and whilst it is not directly Jersey related we still think ‘Egg‘ is fitting for a chough. Flieur, Jèrriais for flower, and Grace were named by Paradise Park staff and we think that their personalities are quite apt for their names. For chick H it couldn’t really be anything other than Jersey’s patron saint, Helier. Gender aside of course. When it came to chick J we couldn’t ignore gender. 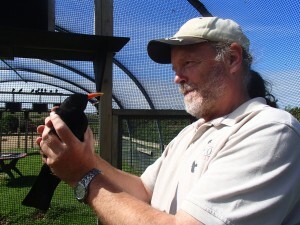 We would have loved to have a chough named John, but the femininity is lost. Instead we took the parish of St. John’s Jèrriais name of Jean. Egg (red), Flieur (grey), Grace (black), Helier (green) and Jean (white) hoovering up mealworms. Photo by Liz Corry. We were pretty stumped when it came to chick I. Until Glyn made reference to one of Jersey’s Conway’s towers 2 km out to sea. 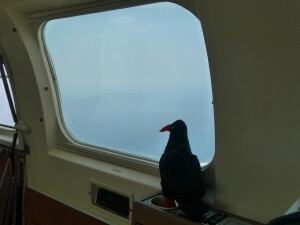 The line being “Wouldn’t it be funny if one of the choughs decided to roost in Icho tower?” “No!” came the reply from the radio-tracking team. 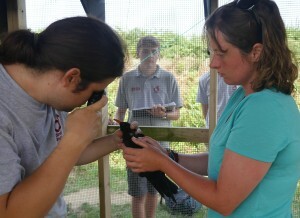 Having completed their quarantine period this month the chicks will begin leaving the aviary at the start of September. 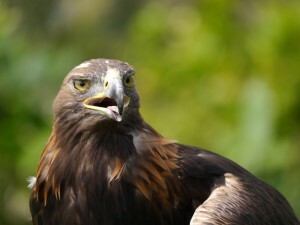 The six adults flying around Sorel continue to return to the aviary at will. They still eagerly fly to the aviary when we blow the whistle for food, but spend more and more time probing the grazed headland. 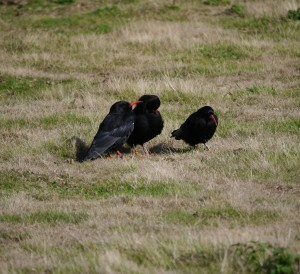 Choughs probing the grazed land for insects. Photo by Liz Corry. 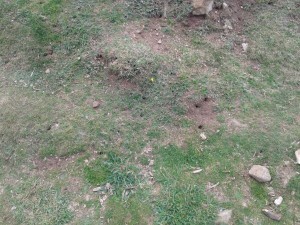 Holes in the ground made by chough looking for insects. Photo by Liz Corry. 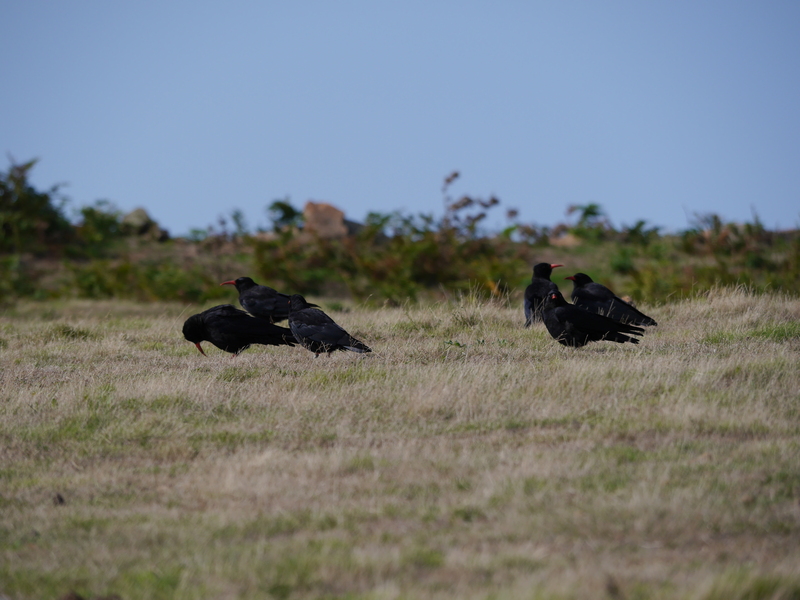 Much to our delight (stroke alarm at the sheer number) we are now seeing evidence of chough activity and how important it is for them to have grazed areas free of bracken. Next time you are walking the cliff path at Sorel look down for probing holes in the ground and think about how much insect life must be living under your feet…if the choughs haven’t eaten it all that is. The trio of Pale Green and his two females, Mauve and Blue, still spend a lot of time together. He has been seen preening both which suggests he is being a bit of a cad and waiting to see who will be the better choice come breeding season. At the moment the odds are on Blue, although the geneticists amongst us would prefer a non-sibling pairing. Whilst some have been showing off their yoga skills Mauve was limping in August. She sustained a mystery injury to her foot which meant she was holding up that leg a lot. It only seemed to give her grief for a few days and a scab that appeared has now dropped off. 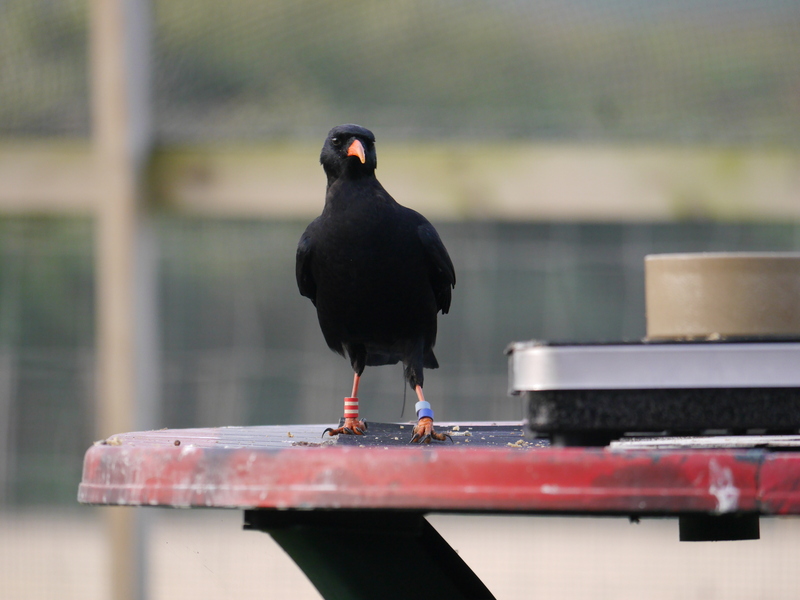 Fortunately, because the birds return to the aviary and allow staff to get fairly close, we can monitor health issues such as this very easily and make rapid assessments. No intervention was needed this time. 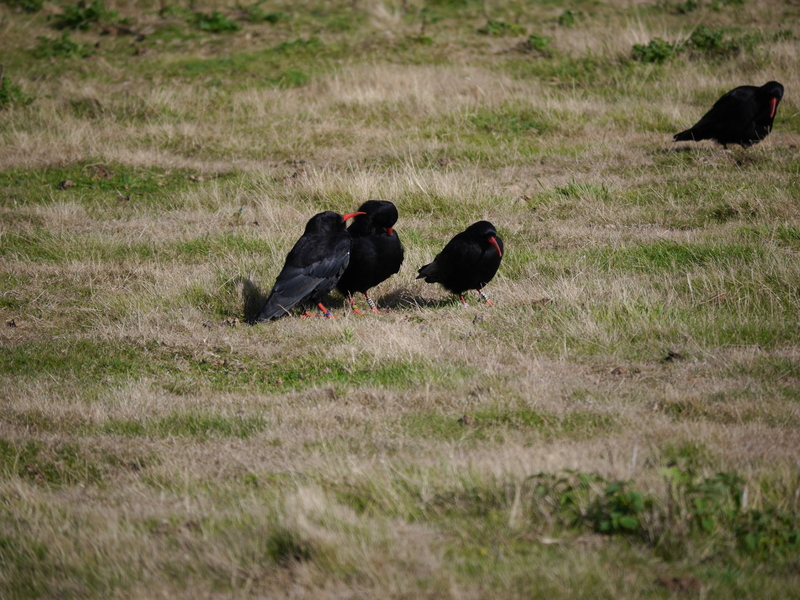 As we reported last month, the choughs are being more adventurous and living on the edge. The cliff edge! Now there is no stopping them and they have been probing right at the bottom. In heavy downpours they have been seen sheltering under ledges which led us to believe they may no longer be using the quarry buildings to roost in. 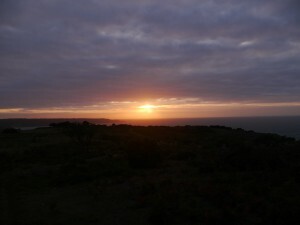 On arrival for our first roost check we were proven wrong. An hour before sunset five adults flew over the car park to the quarry and didn’t emerge until sunrise. The sixth, Red, was still feeding in the fields when we approached. When she stopped feeding she realised the other adults had left. She seemed a bit confused and flew to the nearest choughs she could see, those in the aviary. 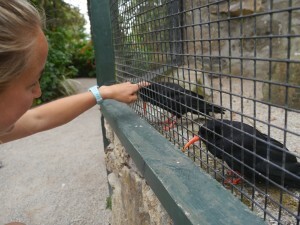 She took a long time to settle, but eventually roosted at the aviary. Oddities aside, the group of six still prefer to sleep in the quarry buildings. 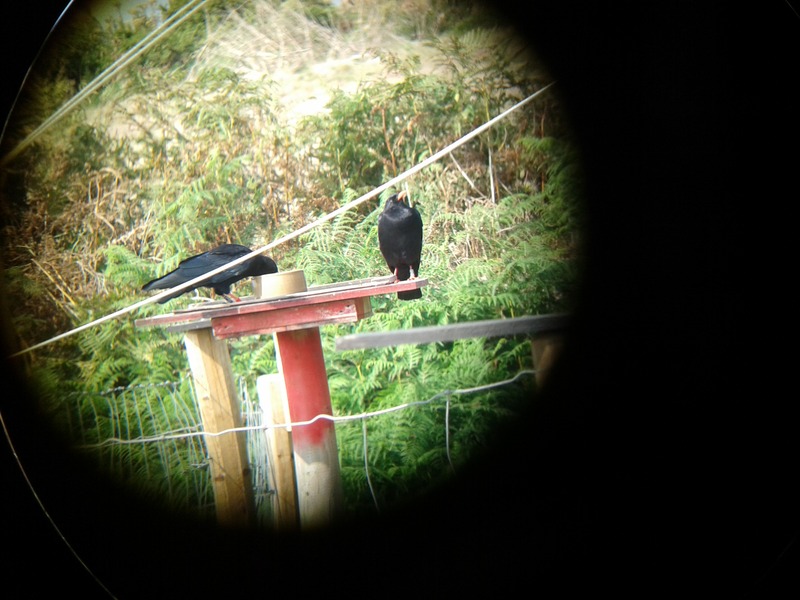 Whilst their roost site selection might not be a new thing, their distance from the aviary is. Or should that be elevation since they are now feeding lower down the cliffs. 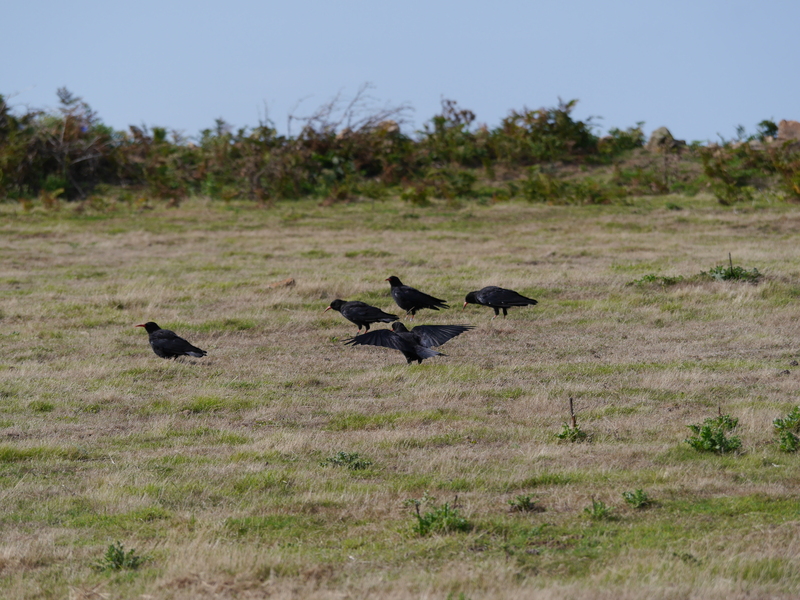 There are three choughs in the photo below. Trust me. The sheep, normally present on this bit of headland, were confined to the aviary field in August to allow bracken control treatments to go ahead at Devil’s Hole. Sam and Aaron, the shepherds, have been kept very busy making sure the sheep have enough food and water. 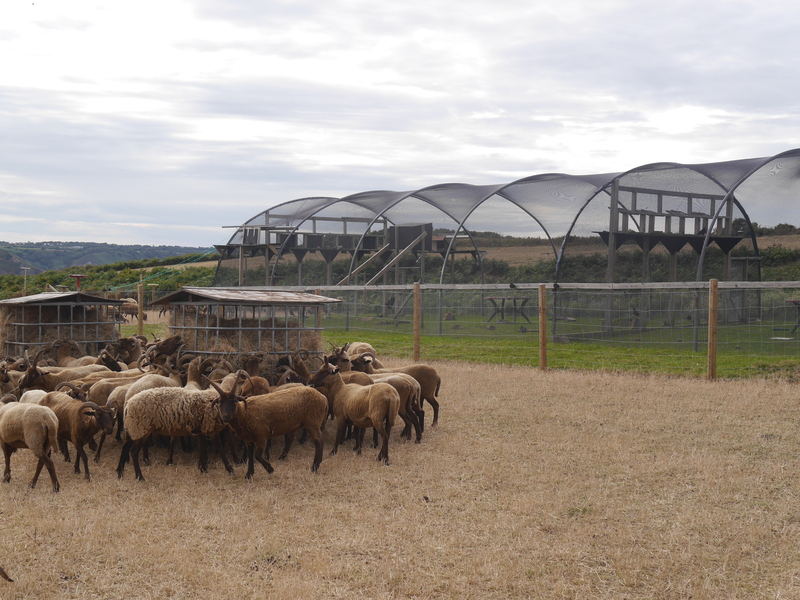 We have been kept entertained trying to keep the sheep from busting through the gate to get to the fresh green grass in the aviary. You can read more about the bracken control here. 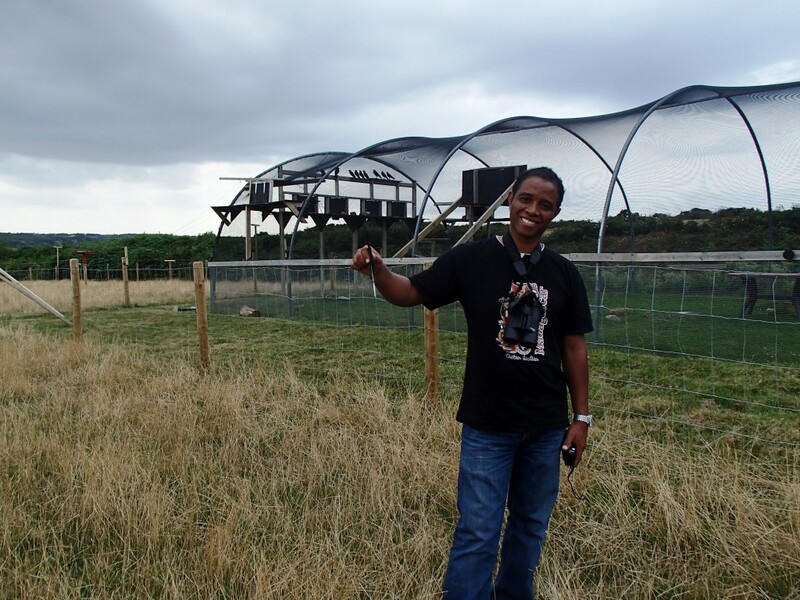 Floriot Randrianarimangason visited the UK and Jersey in August for intensive specialist training in aviculture and captive breeding. 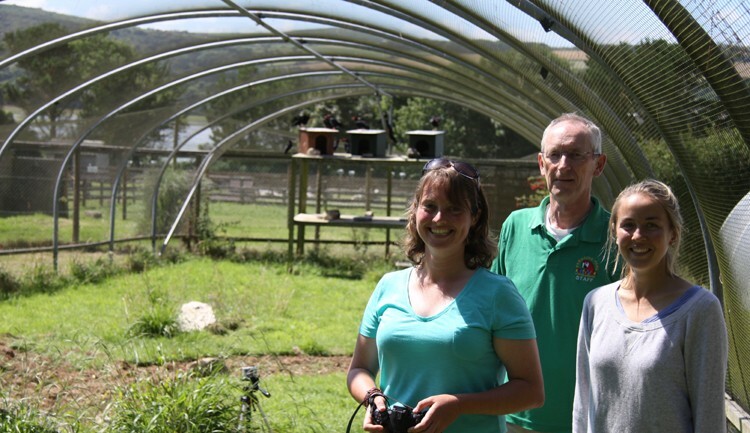 Floriot is a member of Durrell’s Madagascar team and runs the pochard captive breeding facility out there. The Madagascar pochard is the world’s rarest duck with only 20-25 known to be living wild. Floriot Randrianarimangason from Madagascar visited Sorel this month. Photo by Harriet Clark. 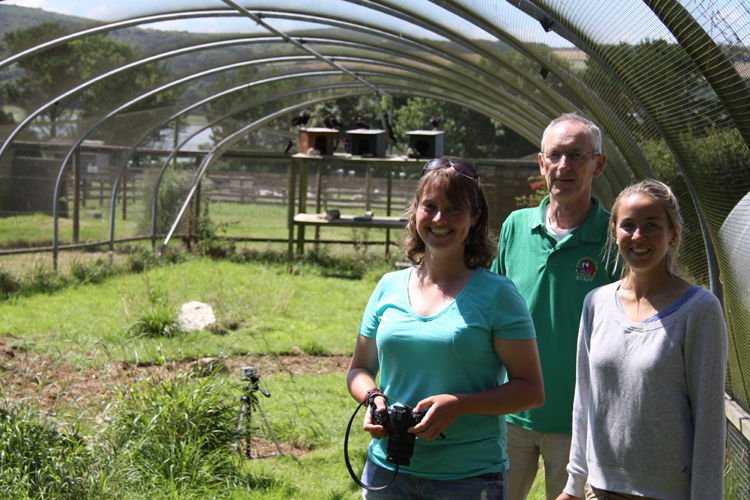 Floriot has been to Jersey before; he worked on the ploughshare tortoise project before switching to birds in 2009. He hadn’t visited Sorel before and was keen to learn more about the re-introduction techniques. It is fair to say from the grin on his face he was suitably impressed. Tempting as it was for him, Floriot hasn’t taken any choughs back to Madagascar but he certainly has spread the word about Birds On The Edge and the natural beauty of Jersey. I hope that you all enjoyed the (mainly) amazing summer we have had and although autumn is on its way at least there is the monthly Jersey Conservation Volunteer tasks to look forward to! 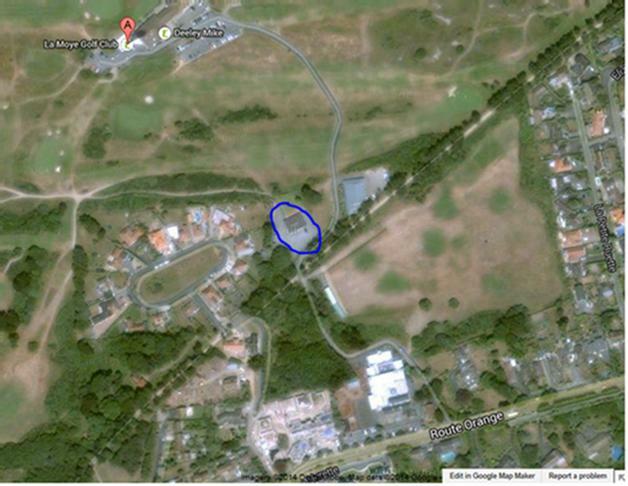 La Moye Golf Course, St Brelade. 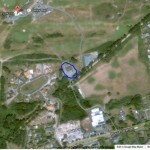 Parking: Please park in the gravel car park on the left before the road crosses the golf course (see area circled in blue on map). 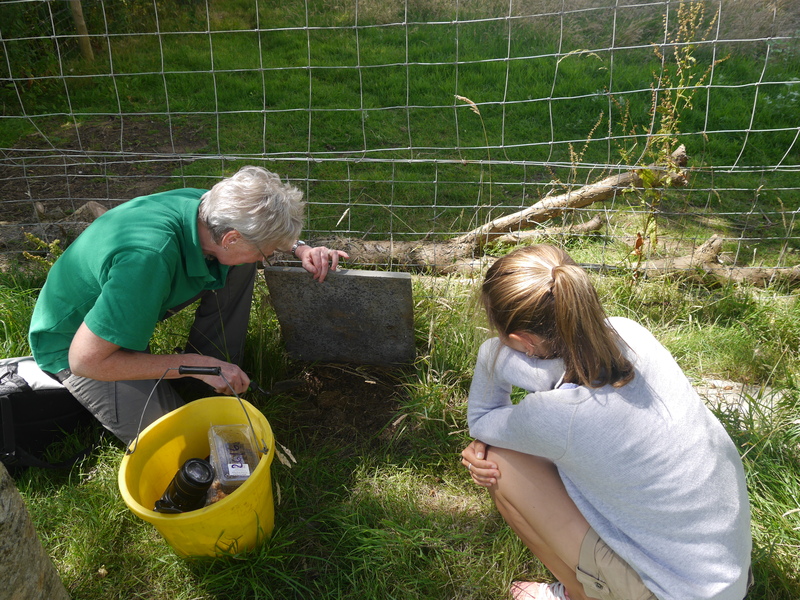 As part of ongoing research into the status and conservation of Jersey’s grass snakes, we will be investigating a possible snake egg-laying site at La Moye Golf Course to check for egg shells. 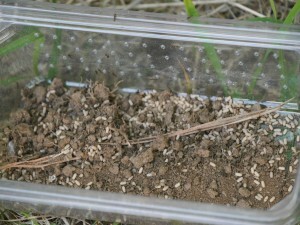 The task will require the careful de- and re-construction of large grass and soil heaps in order to search for egg shells, in the hope of confirming snake breeding at the site. 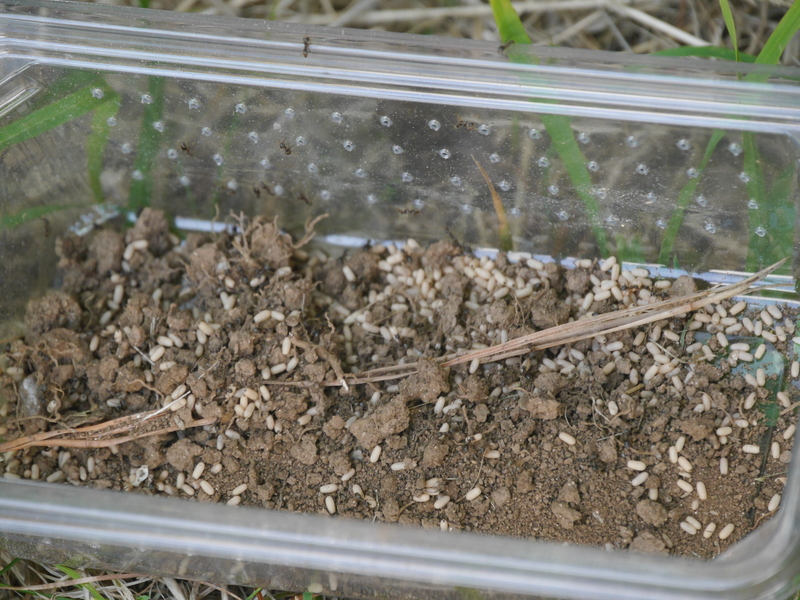 There is also a possibility we will come across hatchling snakes, and other animals using the heaps. 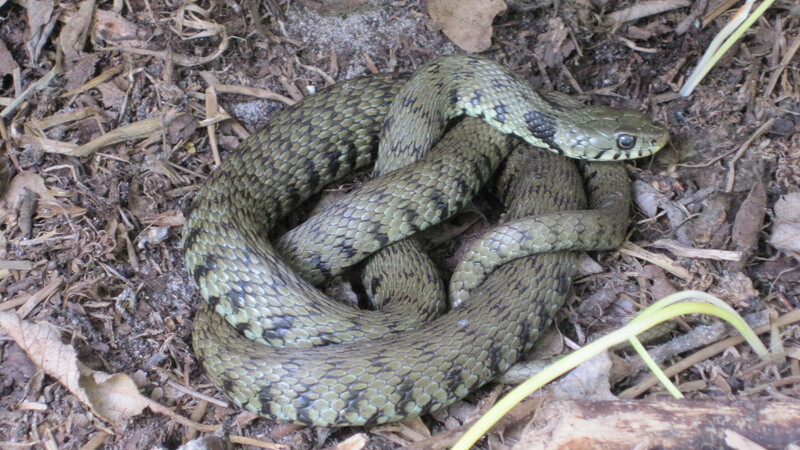 Grass snakes are the rarest reptiles in Jersey, and our only native snake species, and so efforts to determine the habitats they are using are extremely important. 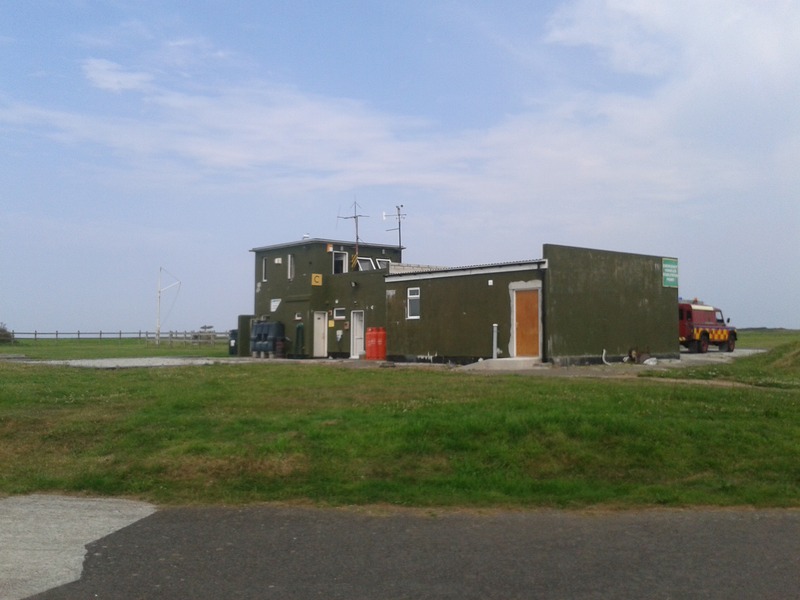 Currently they appear to be restricted to the west and south-west of the Island, and we have had several sightings in and close to La Moye Golf Course, making it a key study area. As we will be working on a golf course it is important that anyone attending sticks to the areas designated on the day. Children All children are welcome but must be supervised by a parent or guardian during the task. We can’t guarantee sun, but we can guarantee Kim and her amazing cakes to reward your hard work! This year’s meeting is now only a couple of weeks away on the 9th and 10th October at the Durrell Conservation Academy. We are very excited now to be able to tell everyone that Insurance Corporation has kindly offered to sponsor this year’s event! 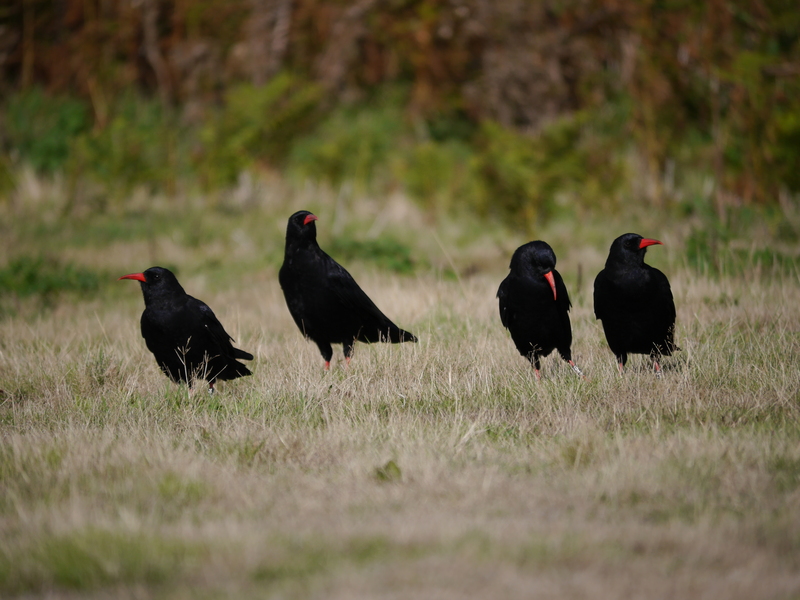 This means that we will no longer be charging delegates a fee although we will suggest that everyone attending makes a donation to Birds On The Edge which they could chose to go to habitat restoration or to the chough reintroduction project. 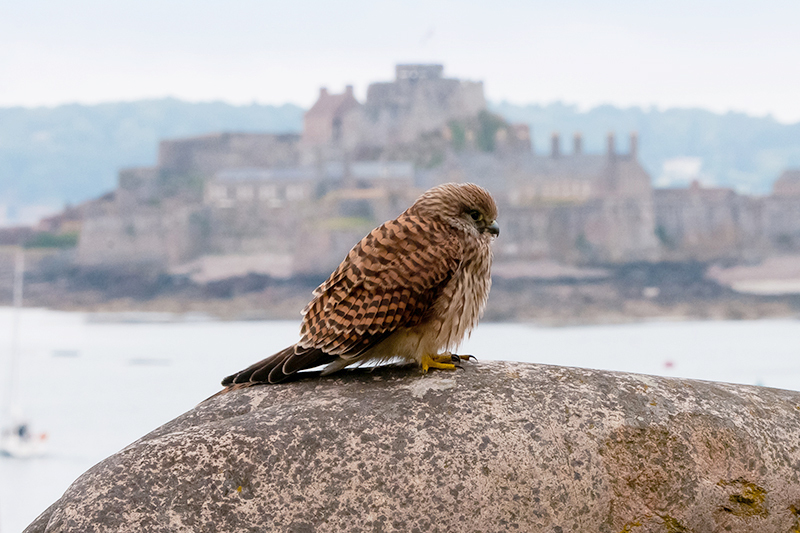 Insurance Corporation are an apt sponsor as through their Conservation Awards in Jersey and Guernsey and Alderney they have been very supportive of many of the projects that will be discussed at this year’s meetings – including Birds On The Edge! 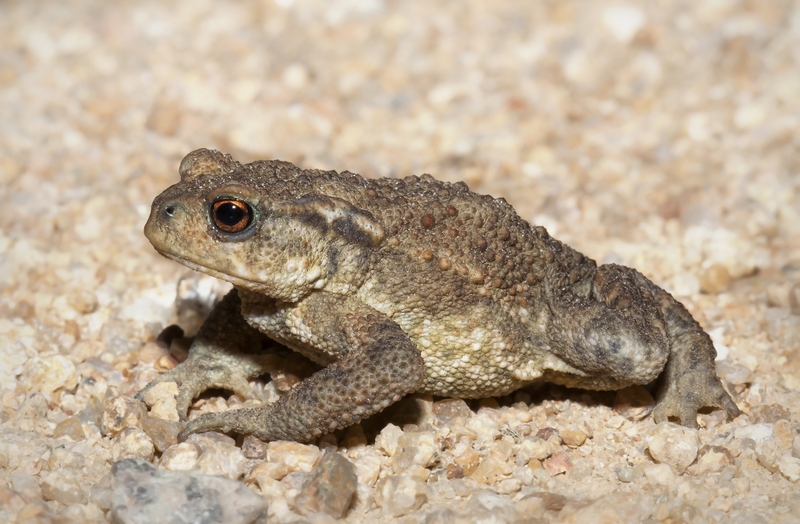 • John Wilkinson -Just why are Jersey toads so special? Channel’s marine protected areas network. There may, of course, be some changes to this programme. 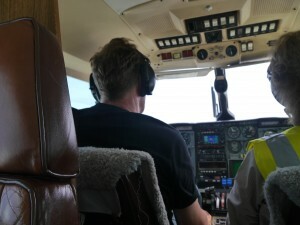 It wouldn’t be an Inter-Islands if everyone’s flights got in uninterrupted by the weather! We have standby speakers and talks lined up. The full programme will be circulated to everyone before the event and available for download on this site. We are planning to arrange a dinner for everyone interested on Thursday evening from 19:30 onwards. Please contact Glyn Young as soon as possible to let the organisers know that you are coming to the meeting and if you are interested in attending the Thursday dinner as we need to finalise numbers very soon. Panic over, Mauve is back. We don’t know where she went but we know she is back safe and well. As the birds become more familiar with their environment they will start to explore further afield. It is a bit unusual at this stage in the game and year which is why we asked for help. Thanks to all of you who contacted us about Mauve. At the start of next year the males will begin looking for territories and some of the females will prospect for nest sites. This is when the fun and games will really begin for the radio-tracking team. 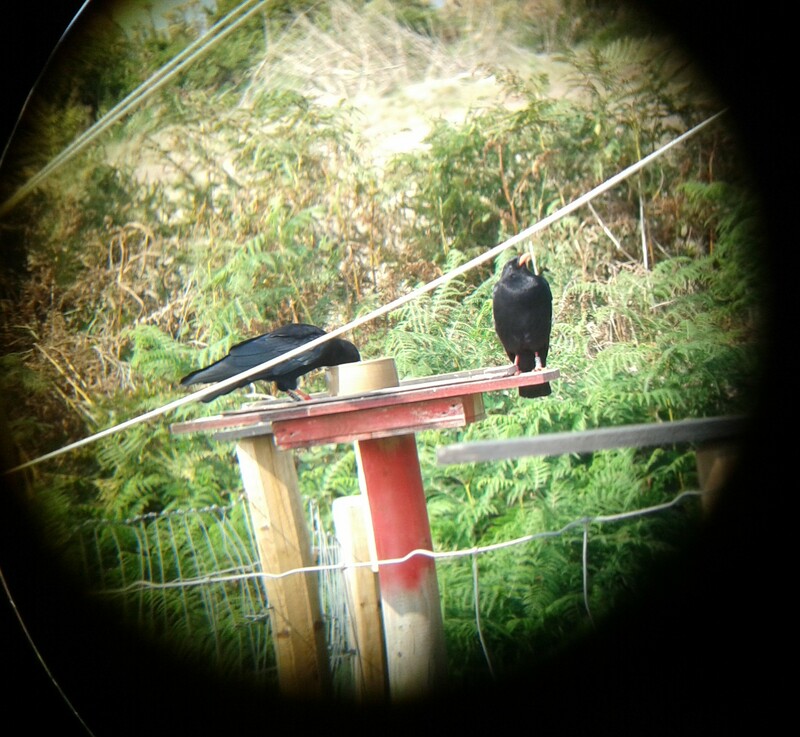 We are always pleased to hear from members of the public about their chough sightings. 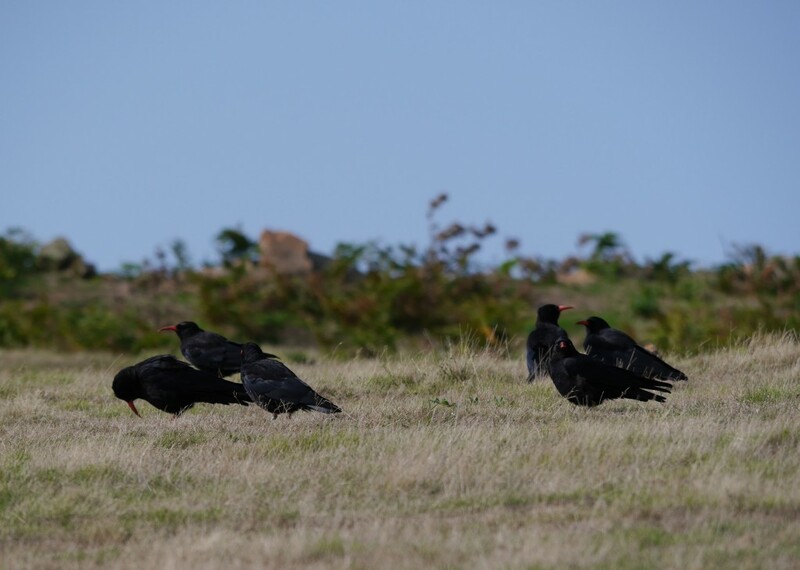 For next year’s breeding season these sightings will not just be heart-warming but invaluable to the project and success of Jersey’s red-billed chough. We are missing Mauve one of the adults at Sorel. 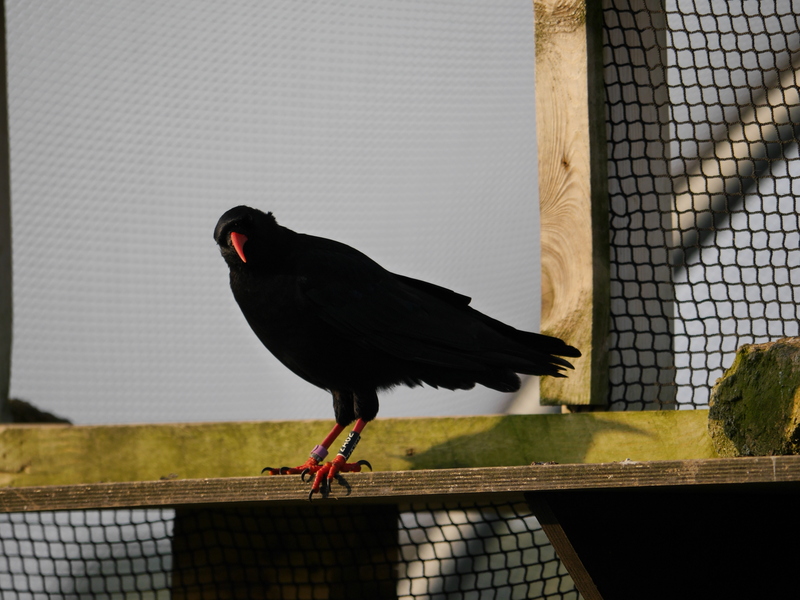 She was last seen yesterday teatime at the aviary with the other fifteen choughs when the keeper called the group back for food. 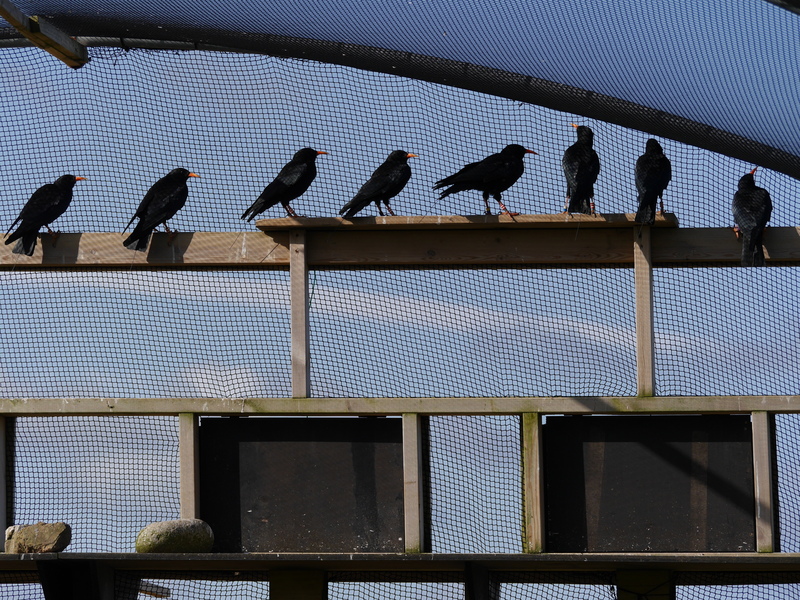 At this morning’s 07:30 check we only had 15 of the 16 choughs at the aviary. 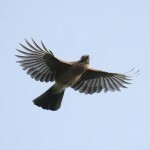 They have spent the last week foraging around Sorel and flying high, regularly returning to the aviary. Her absence this morning is therefore unusual. For those of you living in Jersey please keep an eye (and ear) out for her. 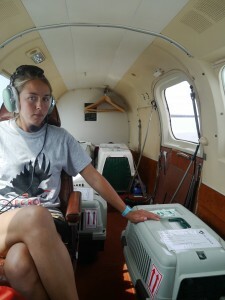 She no longer has a radio transmitter attached making the task of finding her trickier for the team. If you think you have spotted her please contact the team on 01534 869059 or email elizabeth.corry@durrell.org. 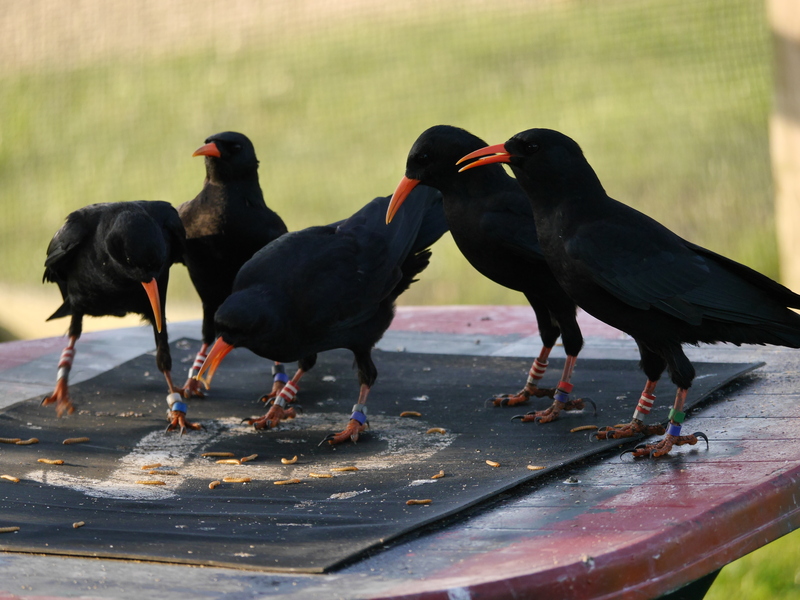 In the unfortunate event of finding a dead chough please place the body in a clean sealable container or plastic bag and contact the above or Durrell directly as soon as possible. Whilst it would be a blow to the project to lose a bird, we can gain a lot of useful inform from a post mortem. But lets stay positive for now and assume she has just decided to investigate Jersey’s beautiful coastline. 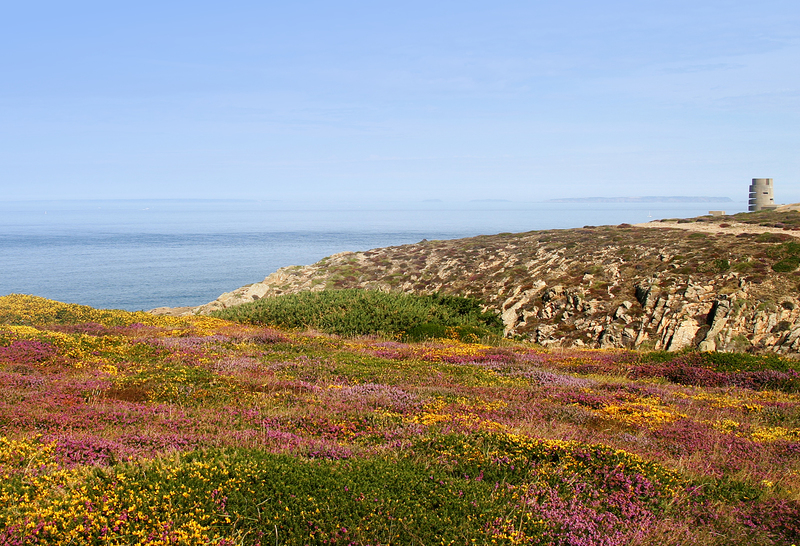 Just how many birds are there in the Channel Islands? While the Channel Islands definitely doesn’t rival somewhere like Peru or Kenya for the size of its bird fauna there is still a nice variety to be getting on with. Our Islands are only small and close to the continent so birds may wander over and be gone again the same day. This means too that it’s never easy to say exactly how many species may be present on any one day. These small islands do, however, have quite a good variety of habitats. So, while the bird fauna may not be large, it can be nicely varied. 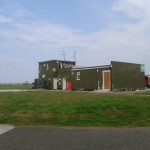 Even a brief trip out can reward the observer with seabirds, woodland birds and shorebirds within a few minutes. If not all at the same time: in fact there are few spots where you can’t hear oystercatchers or see a gannet off in the distance! You know you’re not far from the sea when the song thrushes and starlings mimic the shorebirds. So, exactly how many bird species are there? The Working List of Channel Islands Birds has been updated this week and shows that, overall, 369 birds have been recorded. 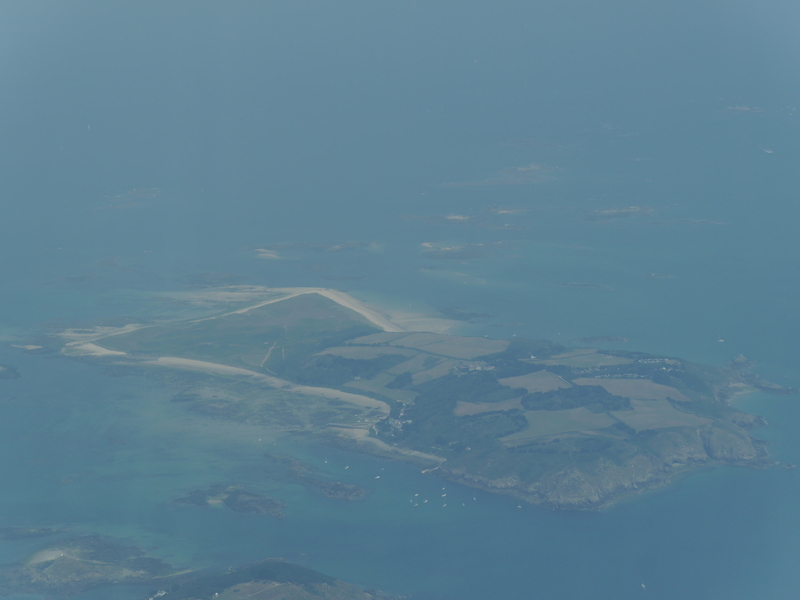 Not each of the islands has seen them all of course so the highest number for just one island is the 326 recorded in Jersey. 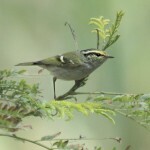 The list shows where there are some very interesting anomalies – birds that may be very common on one island may be very rare or absent on another. 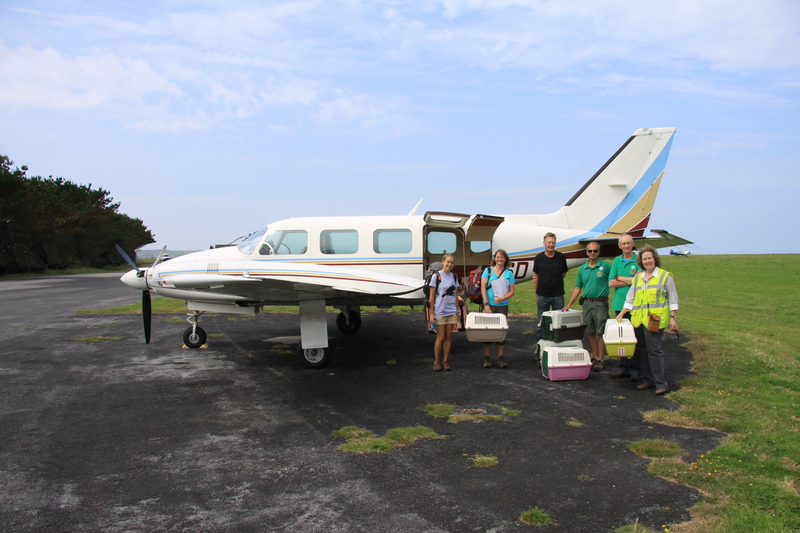 Observer coverage is often low in parts, and certainly Alderney and Sark could be better covered than they have been at times. 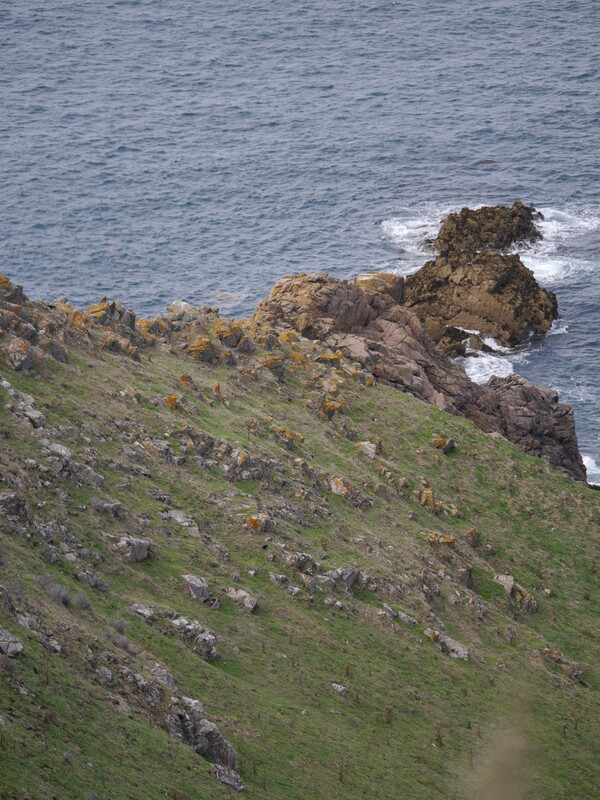 Both these islands have a dearth of seabird records that may be through too few birders but Sark’s shortage of shorebirds may be more down to its paucity of beaches. And it’s lack of wetlands. More interesting are the natural variations. Brent geese stick mostly to Jersey, but so too does this bird’s principal food, eelgrass. Harder to explain are the unequal distributions of magpies (effectively absent from Alderney) and jay (a common resident in Jersey and a vagrant elsewhere). 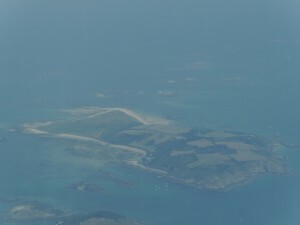 Great spotted woodpecker and stock dove are relatively recent colonists to the islands which might explain why they have only a toe hold in Alderney and Guernsey while they are widespread and common in Jersey. Interestingly, rare visitors too show an unequal distribution. 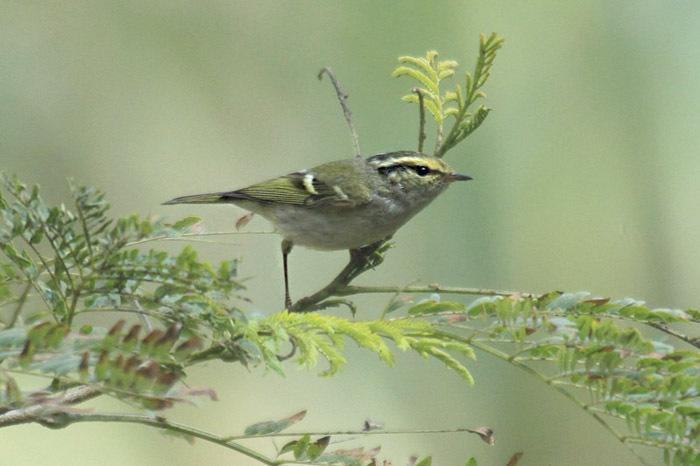 Jersey has never recorded a Pallas’s leaf warbler while Guernsey has had 15. 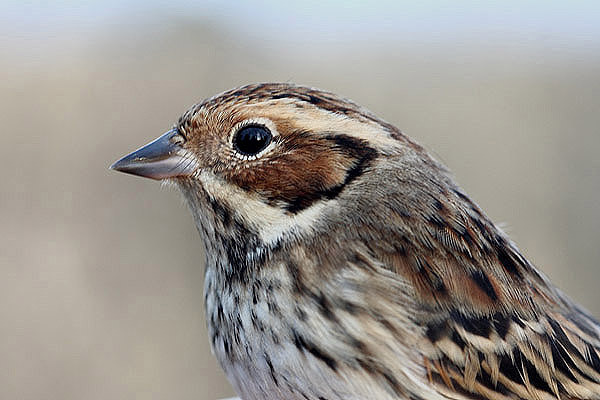 In Guernsey a little bunting would cause a stir whereas in Jersey they are almost annual. Amongst those birds to have avoided Jersey but put in appearances on the northern islands, snowy owl may have caused the most disappointment. Everyone loves a snowy owl! The Working List is published each year from contributions by each of the islands. 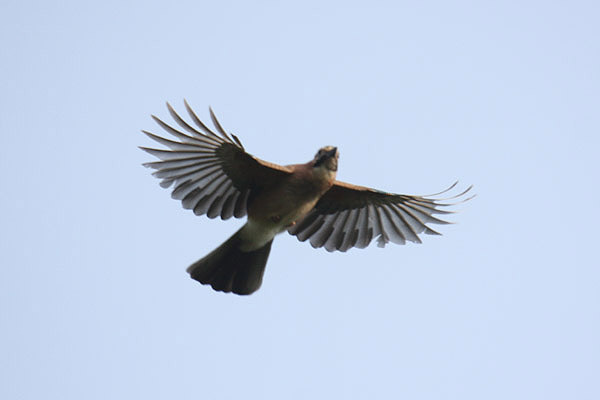 Each record has been accepted by the local ornithological committees and contacts of these are included. Please submit your sightings to each island. The list details each species and includes a summary table and, updated annually, one highlight is the taxonomic changes that are included each year. There have, over recent years been some major revisions to taxonomy and to many species’ position in the list. This year is no different – see how long it takes you to see where the falcons went this year. There may be splits too (think carrion/hooded crow or stonechats in recent years) but this year there haven’t been any. One disappointment, however, with the latest list is that the total hasn’t changed since 2012. It will have by the next update though! As this is all good science, the understanding of avian biogeography, the monitoring of distributional and population changes etc., there can not be anything as unscientific as inter-island rivalry. And of course there isn’t. 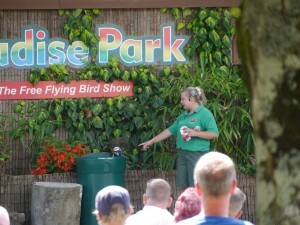 Although that one extra bird in the Jersey total is looking very vulnerable!